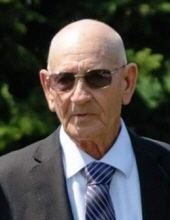 Paul W. Master, 79 of rural Plymouth passed away Sunday, April 7th in his home after a lengthy illness. On August 30, 1939 at Monterey, Indiana, Paul was born the son of William and Frances (Calhoun) Master. Paul has been a life long resident other than about six years in Ft. Wayne. In his youth he attended the Monterey United Methodist Church. He was retired from United Telephone Company (Embarq and Centurylink) after 33 years of faithful service. He was a member of the Elk’s, Mosse Lodge #741 and the American Legion all of Plymouth. He enjoyed watching sports and ball games, cutting wood and was a constant worker. In a ceremony on June 21, 1958 Paul married Sandra Sue Chapman, who preceded in death July 20, 2018. Those left to remember Paul are his daughter, Marla Webster of Plymouth, his three sons: Rick Master of Plymouth, Jim and Sheila Master of Lexington, KY and Randy Master also of Lexington, Ky; five grandchildren, four greatgrandchildren and his sister, Mary Frances “Ginger” and Paul Ruschau of ElPaso, TX. Preceding Paul in death were his parents and his loving wife Sandra. In honoring Paul’s wishes there will be no services. Deaton-Clemens Van Gilder Funeral Home is privileged to be entrusted in arranging the services. Condolences may be left at deatonclemensvangilderfuneralhome.com. To send flowers or a remembrance gift to the family of Paul W. Master, please visit our Tribute Store. "Email Address" would like to share the life celebration of Paul W. Master. Click on the "link" to go to share a favorite memory or leave a condolence message for the family.